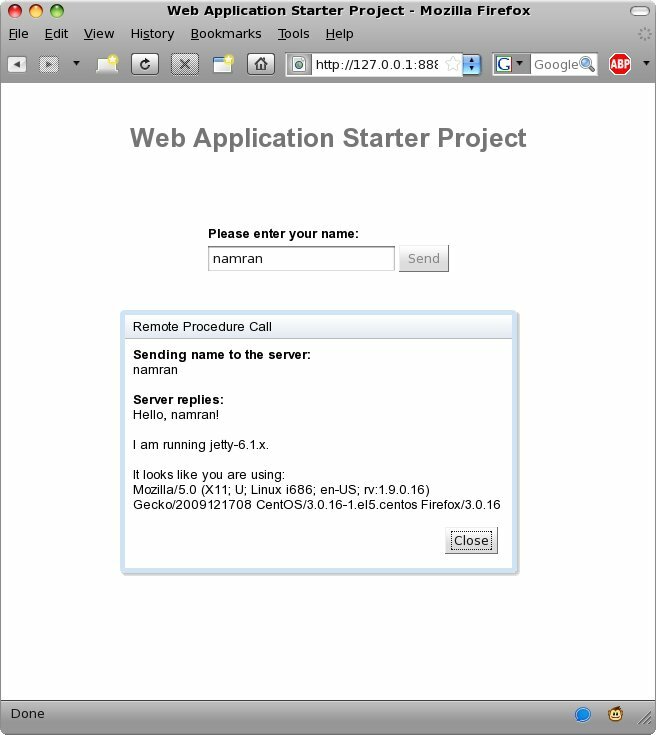 Google had developed a development toolkit for building web application and optimizing complex web-based application. the technology is pretty neat and very helpful , after writing the code in java format ..
oh well.. one thing that i do love bout java is the modularity of each feature/lib. after done with writing the app in java code, get it compiled by Google Web Toolkit..
later these output files can be uploaded / hosted anywhere you like. either tomcat .. jetty .. or just httpd with proper lib. Hmm.. somehow namran.net just doesn’t work well with RPC thing yet..
on my laptop and some our dedicated machine.. its work flawlessly..
p/s : Hmm.. I am personally thinking that .. office hour at office/client site.. is meant for “meeting”.. “collecting info and stuff via talking”..
“entertaining”.. “answering phone” .. while the real development work .. only start after the “office hour” — anyone else feel the same? need some help here.. if can get anyone to start working together with me.. feel free to apply / recommend someone /send your resume to ..